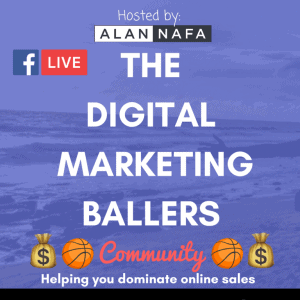 If you have spent any time online on anyone “PERSONAL BRAND Business” *cough alannafa.com *cough then you have probably come across a “funnel”. 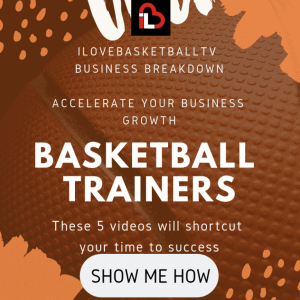 If you are curious about what they are and how you can implement it in your own business, this is for you. 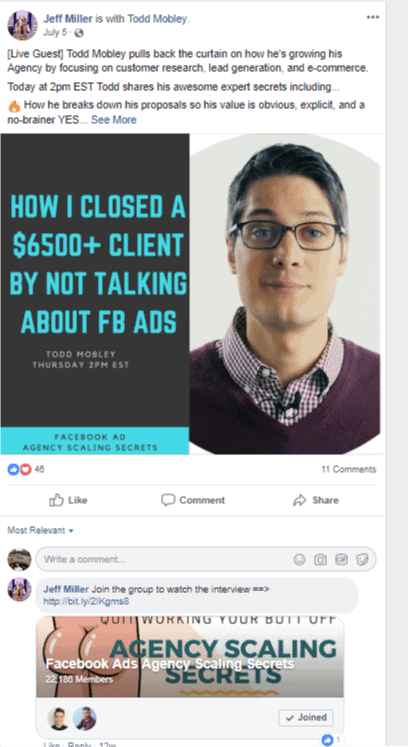 We are going to clarify what is a sales funnel by explaining it and looking at examples from clients and other top digital marketers in the space! 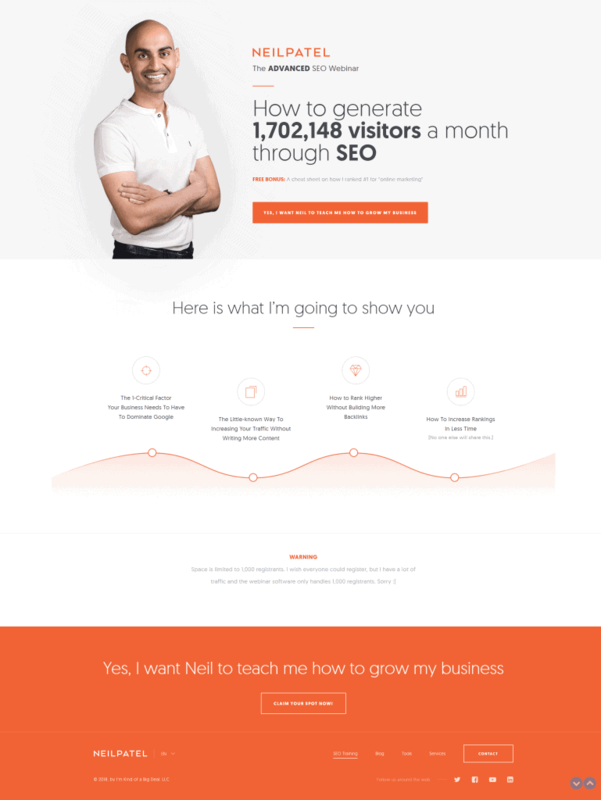 You probably want visitors on your website to buy your $5,000 product. Maybe you are wondering why they haven’t done so yet? When someone does something you want them to do, it is known as a conversion. This visitor is changed from a viewer of the website, to engaging with the website with either a purchase, sign up or form fill. A Sales Funnel is what is used to break down the purchase process into steps before they reach the desired outcome of conversion. 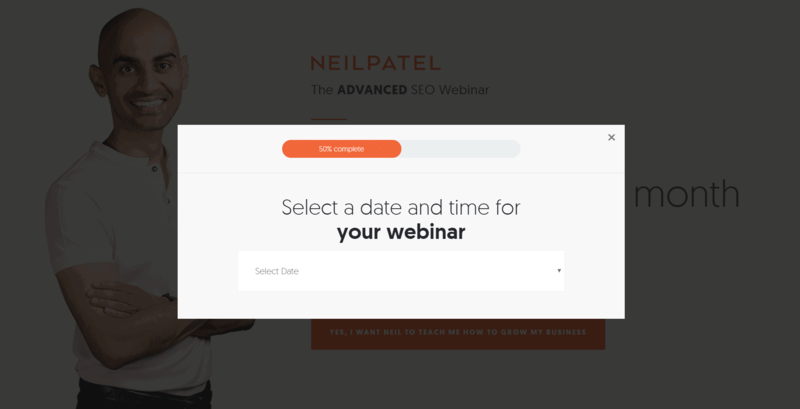 As of October 01,2018, Neil’s lead magnet and funnel is currently pushing a Webinar in which he teaches advanced SEO strategies. 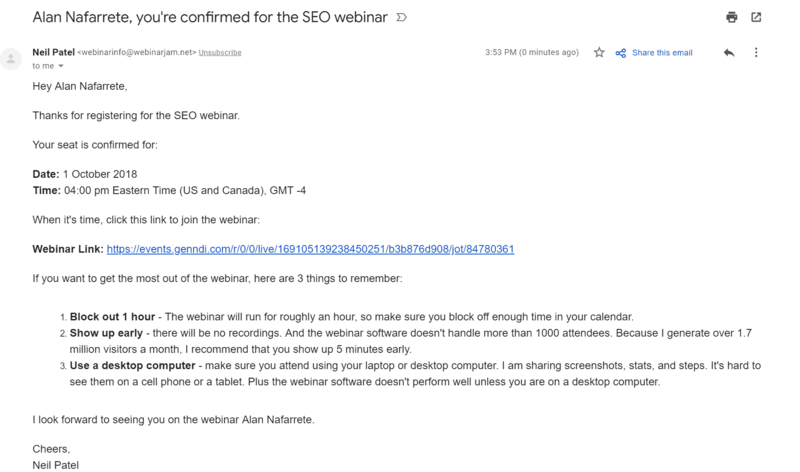 He uses registration to the webinar AS the lead magnet so he can collect emails and later hit you with email marketing. Email Marketing could be considered part of the LONG GAME Sales Funnel, in which for any other events or future products they could reach into their email marketing database and just inform you of the new product and gauge your interest. Looking at what would be the aim/end game of the Webinar – they are indoctrinating you to their brand, their virtues and explaining what their service is by TEACHING it on the webinar with the hopes that at the end of the webinar they can have some value proposition which would have you engage with their business and service. Also, you can see from signing up that the Webinar Signup also includes a “Cheat Sheet” which is probably what was used before as a lead magnet for his site. Also he tells you “over the next week I will be sharing a few marketing hacks with you”. Once was first a simple webinar registration has been enrollment to an email marketing FUNNEL, which is still technically a sales funnel, just all done through email. 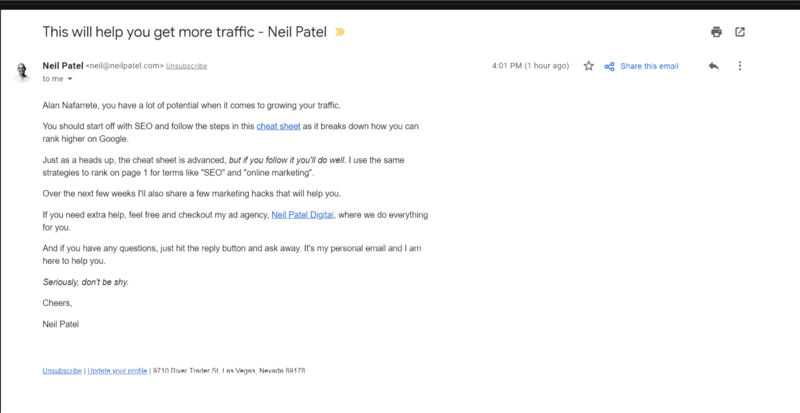 You can technically include the Email Marketing emails I will get as part of the funnel so that people could look at the cheat sheet, or schedule a call directly from his main website under his consultation link — https://neilpatel.com/consulting/ . Every email/webinar/landing page/blog article all wants you to get to this scheduling process because they know the numbers and close rates on the scheduling call. *Note – as Digital Marketing now starts being considered part of the funnel – you would consider all Social Media as the widest funnel – Easily digestible content that funnels people to the “actual funnel” which is the site. As of Oct 01, 2018 the expected outcome from the website conversions are to get Webinar Registrations which then lead to consultations. *Something to note, is that with the limited availability of these products – he actually took it away and you cannot purchase this product anymore. 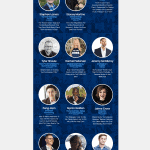 Something to note in terms of the Lead magnet or free give was a set of interviews by top entrepreneurs on what they would do, along with PDF’s and video interviews explaining their process. Then, he said the links would expire and if you wanted to keep them you could *PAY. A very interesting take that is a book out of the car industry book. You let someone test drive a car, so they can see if they want it, let the car sell for itself. Individual Teaching/coaching -The main sell. Notice that the main sell was the main selling point, while the value stacking of the 30 days product was already given away, just repuposed and stated in a way that offered value to the MAIN sell. The “Funnel” is content that positions himself as an authority but also helps the user with valuable information with posts that are videos that also explain the concept/idea. 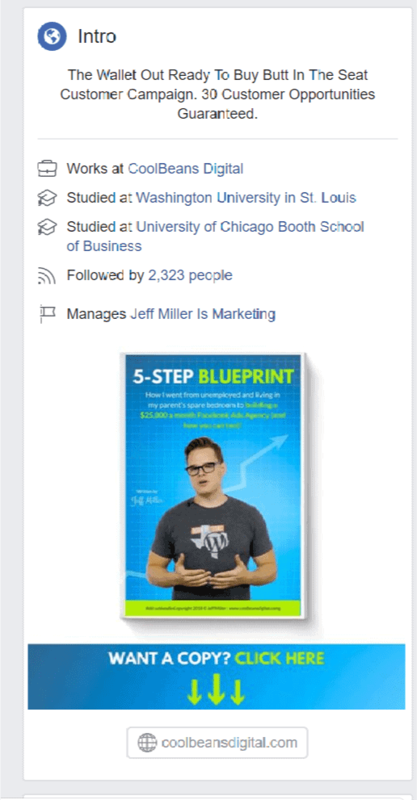 With this “funnel” the content or steps are through the Long Term game of continuous posting to establish credibility in the subject (Digital Marketing) and growing a business. It is also interesting as it follows insight that Russell Brunson wrote in his book, that you don’t have to be perfect, you just have to be ahead. By implementing this strategy of how to grow his business, he is also showing other Digital Marketers how to do it WHILE DOING IT. These types of funnels (which I find most effective) are almost like an amoeba funnel in which there is no clear form or steps, you are simply just continually engaged with the content and product offerings and eventually with enough growth in KLT (Know – Like – Trust) you will purchase something that is offered. 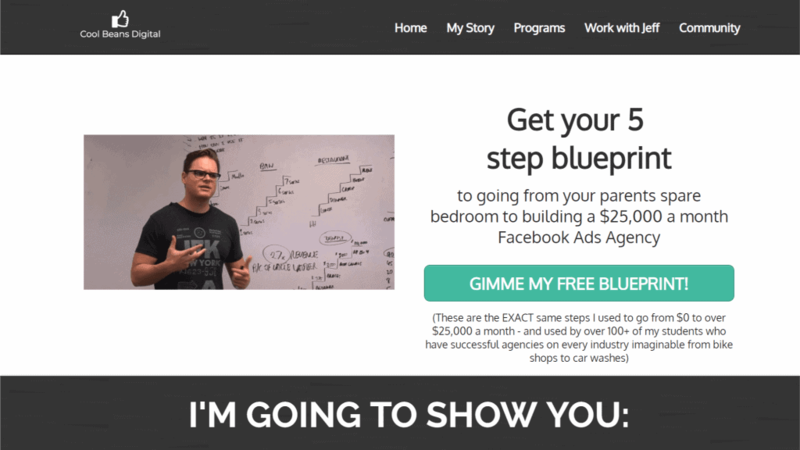 He does implement the traditional “Funnel” with his website, that has a lead magnet of a Blue Print to capture leads on email. With this, he will engage in Email Marketing to build relationship and story with his brand and his business. 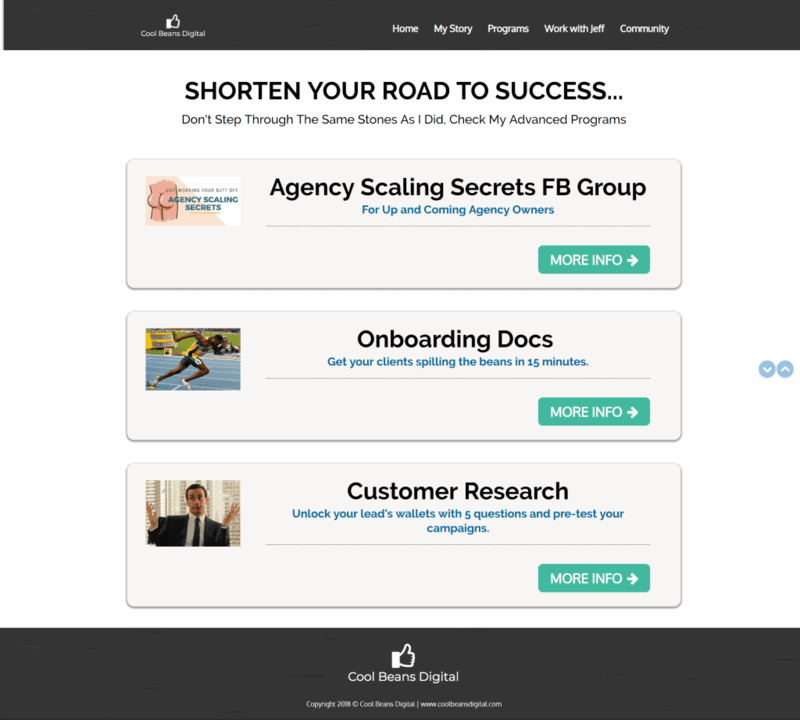 Shortcuts for Digital Marketing Agency’s to land clients. Here you can see how he sells what he has already done before for past clients – Onboarding Docs and Questions for screening clients. What is something you can do for your business that you can repurpose and sell? What is a Sales Funnel? We hope you know by now!